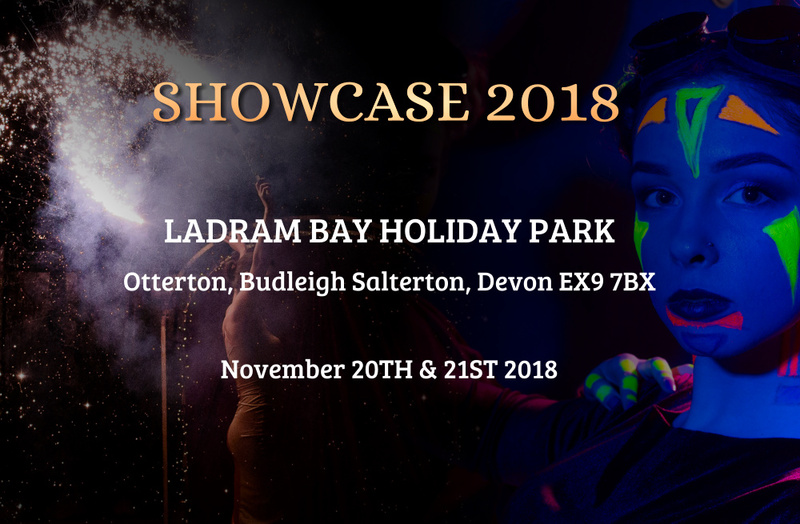 This showcase is always a very professional affair and this year’s certainly had an excellent visual impact straight from the get-go with 4 lavishly dressed meet and greet girls on the main doors from Offbeat Dance. On arrival we were treated to a delightful country music set from accomplished guitar vocalist Stevie Mann, dressed for the job and stamping his authority as being a country aficionado with some style. On to the main show downstairs, dressed impeccably with tablecloths, chair covers and ambient lighting. This set the scene impressively as we once again saw the talents of Offbeat Dance with a stunning circus/greatest showman themed opening routine with tight choreography and decent vocals. Surely a winning formula for any corporate night or event as an opener. This paved the way for the introduction of slick funny man Noel Brodie, who over the years has made the transition from an ‘off the shelf’ holiday park comic to a well-respected stand-up. His ability to think off the cuff and genuinely funny and innovative material was never tiresome – this man should be on a TV panel show – a formidable comedy talent. 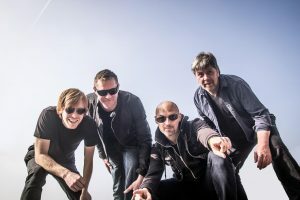 Our first act proper was Exeter-based powerhouse function band The New Heroes, who are blessed with having four 1st class musos in their line-up. 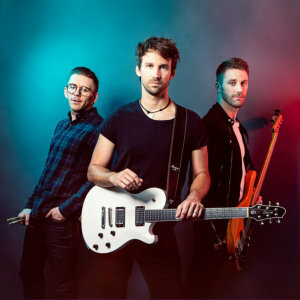 Favouring a more edgy rock/pop sound they soon found their groove with their exuberant front man delivering tasty guitar licks and intense vocal lines. A solid very bookable band, one of the best bands I’ve seen for a while. I would’ve been daunted to follow a full-on band like The New Heroes but roll the drums, strap yourselves in and step up Vici Jo. Flamboyant and energetic, Vici Jo served up a trio of big vocal numbers that she dealt with easily and she has a stage presence to die for. A good showing. Richie Austin is a well-established comedy-magician with great execution. Zany and fast-paced magic, with a suit to match! It’s also quite refreshing to see a comedy-magician trying new stuff and pushing the boundaries a bit. I would expect bookings to be flooding in. Unify are a young 4-piece vocal group. As they took to the stage it was reminiscent of S Club Juniors and I was expecting the same tasteless, manufactured dross…but how wrong was I?! These guys are taking things very seriously but also having great fun which comes across in their performance. Great harmonies, all 4 can sing very well and they even dance and rap…the phone should be going mad. I can’t remember how many Diamond tributes I’ve seen over the years but Pure Diamond had a little something extra, decent tracks, didn’t look unlike the real Neil, and vocally was pretty close too. I can’t say I’ve seen much better in the UK for all-round accuracy. And just when you thought a female duo was a standard product…on strutted Vixen. With a striking blonde Vs brunette appearance (well it worked for Abba!) and wearing some racy tassel skirts, wow can these girls sing. I would expect their diary to be filling as we speak. 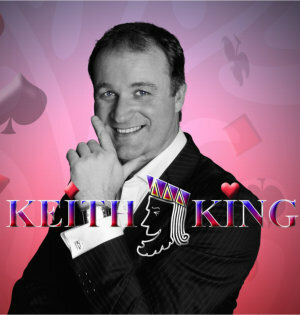 Keith King is an older act, and I don’t mean in a derogatory way, I just mean he’s been around the circuit a while and at first I wondered why he would appear on a showcase. Within 2 minutes I was reminded what a great comedy entertainer he is and had the audience genuinely belly laughing from the word go. There is no substitute for experience. A class showing worthy of bookings. New to the circuit for this year is Bananarama Tribute, The Bunch. Visually very nice with appropriate attire, good solid backing tracks and some basic but tight movement. A good idea, very nicely executed, anyone with 80’s themed breaks will lap these girls up. First Edition are a Somerset-based function band with a male and female lead vocal…and very effective it was too. Good classy musicians all with excellent technique and playing ability make for a very tight, easily usable band. You know sometimes you can tell if a performer has been through the holiday park system and learned their craft from the ground up. Jack Juniper certainly showed this as he bounced onto the stage with a controlled confidence you just can’t buy. On another level he also showed he was a capable vocal entertainer. A pleasant, safely bookable vocalist. Good old Rob Hendy, who I’ve known of for some years, apparently is nearly 70?? Well you’d never know, still young at heart and in appearance Rob displayed quite firmly why he still one of the best and highly regarded comedy-magicians on the circuit. Again, there is no substitute for experience. Post-modern jukebox style entertainment has fast-become a very popular product and The Hummingbirds have certainly jumped on and owned this bandwagon. A delightful 3-piece with impeccable close harmonies and huge attention to detail on their appearance. A great showing from these girls. DisIllusion are a male/female illusion show with vast experience. Their execution was good but there were a few pregnant pauses which could use some talking/voice over to keep it bubbling along but on the whole a nice 12 minutes of big illusions, I would like to see the impact of their full show. Lee Randall is already a popular solo vocalist with a great voice and good banter. Sadly a technical problem with his backing track player left his slot a bit short but I saw enough to know he was a solid, all-round entertainer and I would think that booking him up is a no brainer. Sam De La Haye is blessed with a 1st class vocal and is equally as proficient as a pianist. I was left a little confused as to what she was selling as it went from floaty piano and vocal to jumping around singing Uptown Funk…however…that doesn’t take away the fact she has a heavenly voice and a very inviting demeanour. A very satisfying watch. Nathan Connor has a freshness about him and would appeal I feel, to a younger, teenage audience. A superb mix of rap, RnB and soul classics should see some serious interest from this solo vocal that was quite unique and had bags of energy. The meet and greet area opened once again at 6pm prompt with very impressive slight of hand close-up magic courtesy of Sean Moon and a great unplugged style set from the very capable 3-piece rock band The Dockneys, who can also provide a full rock experience with electric guitars and full drum kit. Their material was high-energy, good solid musos who looked like they genuinely enjoy what they do…and who doesn’t like a rock classic?! As we made our way downstairs for the main show, we realised that the ‘saxophone’ music we were hearing and already commenting on from the upper bar area wasn’t a recording as some people had thought. It was in fact Vern Allen’s very own Simon Mansfield playing live. I’ve known Simon for a number of years as a comedy-vocalist and indeed part of comedy-vocal group 2fat4that but I honestly had no idea he had this in his locker as well! Stunning playing, which I’m sure would raise a lot of interest for meet and greet’s, weddings and events. So onto the main show with young powerhouse 3-piece Firekind – what a band. Edgy, solid, great image, great song choices…these guys are real pro’s. I would eat my own hat if no one booked these guys. Very impressive. Sometimes you get a bit complacent with solo female vocals as by default they always tend to choose similar material and presentation…and then there’s Holly Cosgrove. Vocally very impressive and coupled with a very intense presentation and delivery she tends to stand out amongst most. Looking impeccable she wowed us with a slot that people would be hard-pushed to forget. X-Factor’s Shelley Smith is a larger than life character with a ‘proper job’ West-Country accent. What was also a proper job was her vocal skills…big powerful vocal licks soaring across the venue. Massively likeable and a natural and loveable hap-hazardness to her presentation she was received warmly by the crowd. One small point, I would lose the water bottle, especially on a 12 minute set! 80’s theme breaks anyone? Well, look no further than the very capable duo Reflex 80, equipped with costume and a retro Ax-Synth they seem to concentrate more on the electric sound of the 80’s and delivered them very effectively. I imagine these guys would be at home in any venue from clubs and hotels to holiday centres. A very nice set. I do love an unplugged/acoustic style and The Royal T’s were absolutely on the money. Not trying to be too over the top they performed with a commanding but easy style which was appreciated by all. Upright bass, cahon, and guitar with 3-part harmonies…I liked these guys a lot. Merlin Cadogan is a name that stretches me back some years and his act is quirky and weird but absolutely straight out of the top draw. It’s hard to even explain what his act is as a whole as there’s so many different elements…it’s just a very good variety show suitable for all ages, and an already filling diary suggests just that. Jay James is a name sometimes forgotten from the mass of X-Factor finalists over the years. If I’m honest I didn’t recognise the name until he entered the stage and his unique, rugged yet refined appearance reminded me…it’s the Navy guy from the X-Factor! His vocal is interestingly classy and the fact he’s supported soul legend Alexander O’Neal this year speaks volumes. I imagine his price tag is more than your average but you certainly get what you pay for. A faultless performance. Back in full force were the guys from the Royal T’s but this time in their alter ego state as party band Rooster. This time with full drum kit, electric bass and electric guitar, the same impressive musicianship shone through and they certainly laid the benchmark for this second-half. Thomas Cameron is a young 19 year old from mid-Devon who performed only two songs, which was disappointing however I only needed 2 seconds to know this young man was a very talented vocalist. Favouring musical theatre and crossover light opera, the room fell silent and chins were hitting tables left, right and centre. A rosy future surely lies ahead. In the technological era we live in where you can get backing tracks for as little as £1 with solid endings, why would an act that is promoting themselves use a fade-out? The female soul and Motown duo The Sensationz were guilty of this faux-pas which was a shame. However, their presentation, vocals, harmonies and general like-ability was excellent which should over shadow the use of the fade-out and bookings will inevitably arrive… but girls…invest in some tracks! 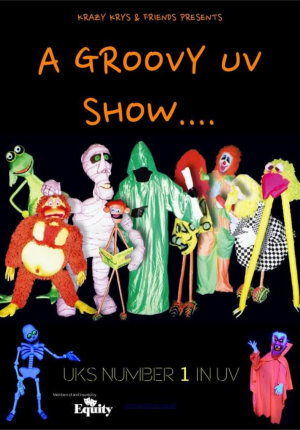 Most UV puppet shows fall very short in production, content and performance in my opinion. However, Groovy UV were in a league of their own and the crown responded appropriately. Excellent puppets, expertly manoeuvred with a good choice of music. I’d watch these guys all day long, a very good show. As I understand it, this next act has just moved to the West-Country, and what a result that is for West-Country venues. Sylvia McEwen has a vocal that you can’t help just stopping what you’re doing…and listening…and admiring. A very classy, talented performer. Mat Morgan then bounced on stage looking dapper in a maroon velvety dinner jacket and patent leather shoes promoting a new rock ‘n’ roll show. A show of this genre needs good authenticity, which I feel it lacked a little… but it was a lot of fun, high energy and the lad can clearly sing. My advice would be just reign it in a little, the music speaks for itself. Other than that, this has a lot of potential for theme breaks and low season cabaret. Daniel Dean, like Keith King, has been about for some time. Are we sometimes guilty for being a bit complacent on the more senior acts? YES WE ARE! This slot was superb, slick and very professional. Assisted by the formidable dance troupe Signature Rouge, Daniel is very much still a force in the world of magic and illusion – highly bookable. To close the showcase for this night was Absolutely Elton, a very credible tribute to Rod Stewart…just joking, it’s of course an Elton John tribute. Complete with baby grand piano that goes on every gig, authentic costume and a good replica vocally, this tribute stands up big time. Loved every second of it. I do champion a good tribute…and this was one. On the whole a very diverse line-up and an expertly organised showcase, with the stage crew working tirelessly to ensure smoothness of proceedings. As showcases go, this ticked all the boxes well done Vern Allen and all involved.